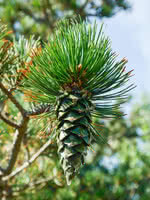 Swiss Stone Pine is a hardy, slow-growing evergreen. 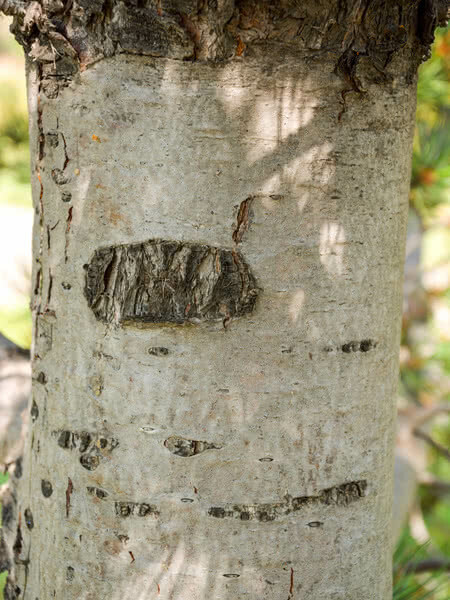 Narrowly pyramidal while young, this long-lived tree is adaptable to many soil types. 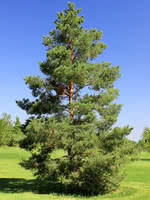 Due to its shape and density, Swiss Stone Pine is a versatile shade or accent tree. Although our pictures don't show it, this seldom seen tree is among the most attractive conifers we have seen and is likely why it is the most chosen tree used for memorials or dedications in public parks. 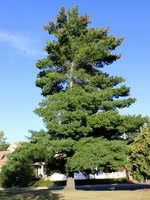 Swiss Stone Pine is also sought after for the large seeds it produces. 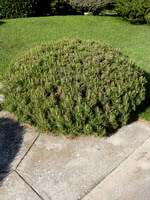 They are often used as pine nuts are and are tasty in pesto.